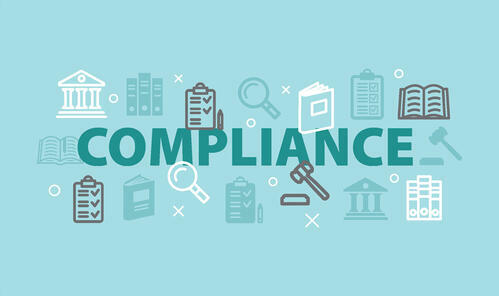 With regulations changing across industries and businesses expanding across the globe, is your ERP system prepared to weather changing compliance requirements? As we enter 2019, New Year’s resolutions may be on your mind – not only for yourself, but also for your business. Depending on your company’s goals, be it expanding your footprint or maybe venturing into a new industry, your ERP system may be facing a new set of regulations. Or, perhaps it’s your regulatory body who has resolved to revise their data standards in the years ahead. In either case, your organization will need a nimble ERP system and experienced software partner to remain in compliance. Below are three areas in which to remain vigilant in the year ahead. The privacy and security of your ERP data is an important responsibility, especially if you are planning to migrate data to a hosted environment anytime soon. Taking proper precautions to safeguard your data is not only a matter of good business practice but may also be a matter of compliance. Publicly traded organizations should consider the requirements of the Sarbanes-Oxley Act (SOX) when configuring their system. Likewise, if all or part of your business operates in the EU and your organization collects personal data of individuals who reside there (e.g., customer or employee data), then your ERP system and related business processes must remain in alignment with the recently implemented General Data Protection Regulation (GDPR). GDPR requires cybersecurity of a certain caliber as well as regular system testing to verify such protections. It is important to validate that your system continues to be in lockstep with these standards. As discussed in our recent blog, there are many benefits to selecting an industry-specific ERP system – among them being compliance. Many industries are governed by regulatory bodies or guidance to create an environment of consistency, parity and quality. However, the regulations in place when you implement your ERP solution are likely to evolve over the life of your system. For example, compound drug manufacturers may be aware of the recently revised draft guidance released by the Food & Drug Administration, which may have implications for how data is stored and tracked in your ERP system. Or, as a defense contractor, under the U.S. Defense Federal Acquisition Regulation Supplement (DFARS), you must meet the strict requirements for Controlled Unclassified Information (CUI) protection to comply with the National Institute of Standards and Technology Special Publication (NIST SP) 800-171. An ERP solution built specifically for your industry and a software partner committed to remaining up-to-date on changing regulations will ensure that updates and upgrades help keep you in compliance. Globalizing your business can be a complex affair. For each locale, you must conform to local standards. Language and currency may be the first thing to come to mind, but your ERP system and related data may be held to different regulatory standards depending on where your facility resides. For instance, if your ERP system houses American patient data, then you are familiar with privacy standards related to the Health Insurance Portability and Accountability Act (HIPPA), which safeguards individuals’ medical information. But if you were to expand your operations to Canada and Germany, you would be dealing with other countries’ medical data provisions. These laws can have a big impact on how your ERP system is configured and how data is stored (e.g., should your German facility be allowed to access American patient data?). To set up your ERP system in a manner that is compliant with each locale’s regulations, choose an implementation partner who not only is experienced in your industry but who also has a strong track record of international deployments.